This beautiful blue boat doubles as a floating house, and has a pool and waterslide to keep the babies entertained. 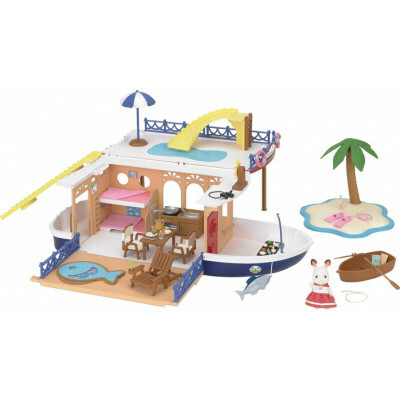 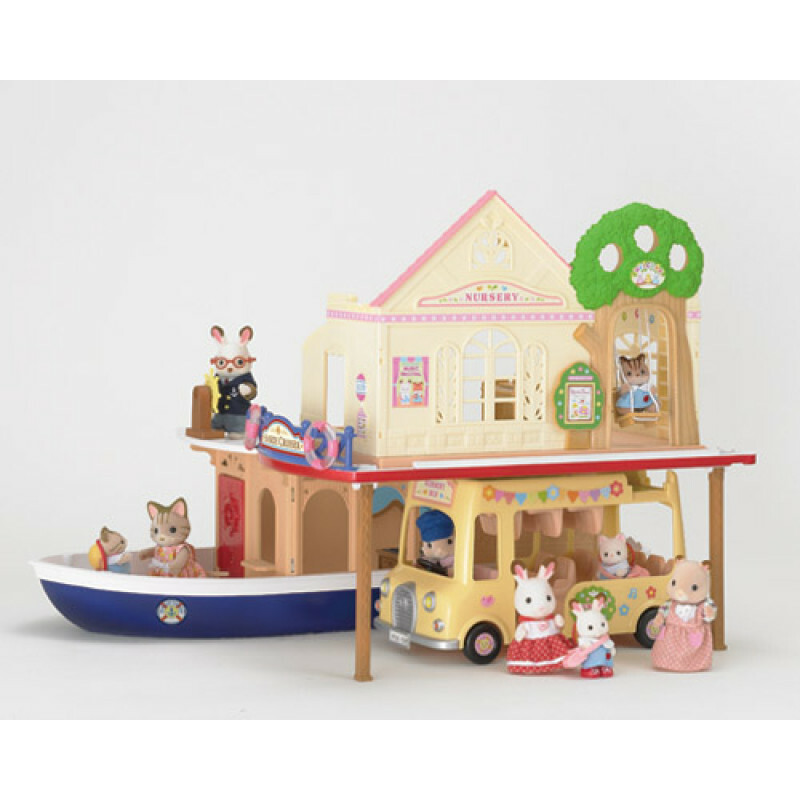 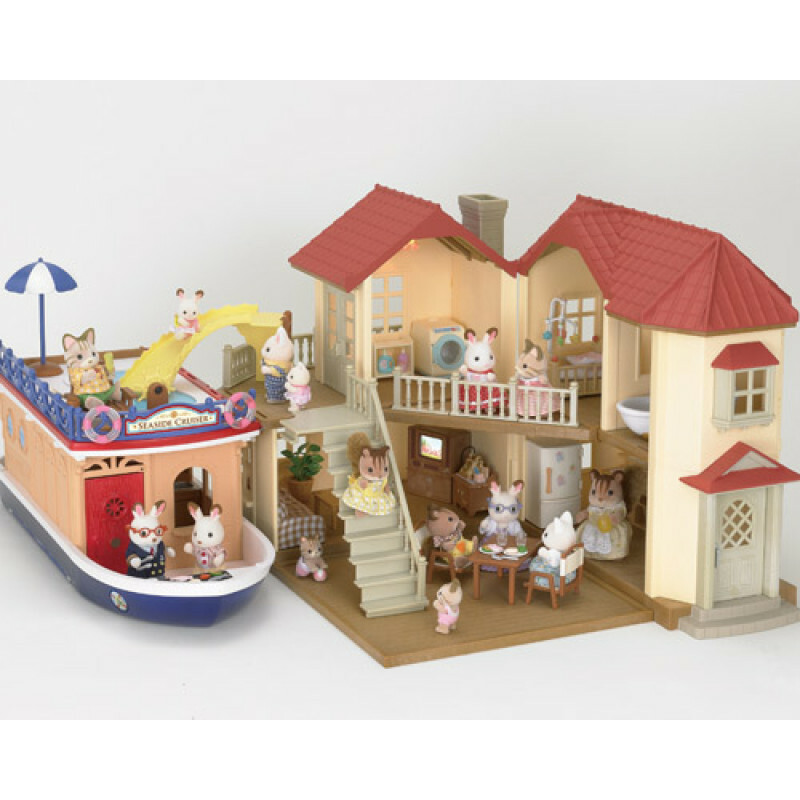 A must-have for the adventurous Sylvanian, this boat is kitted out with all sorts of furniture and accessories including two beds, a kitchen, and a dining space. 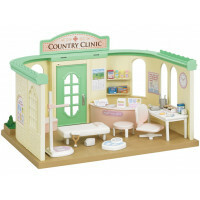 Compact but practical, the beds magically transform into a shower booth! 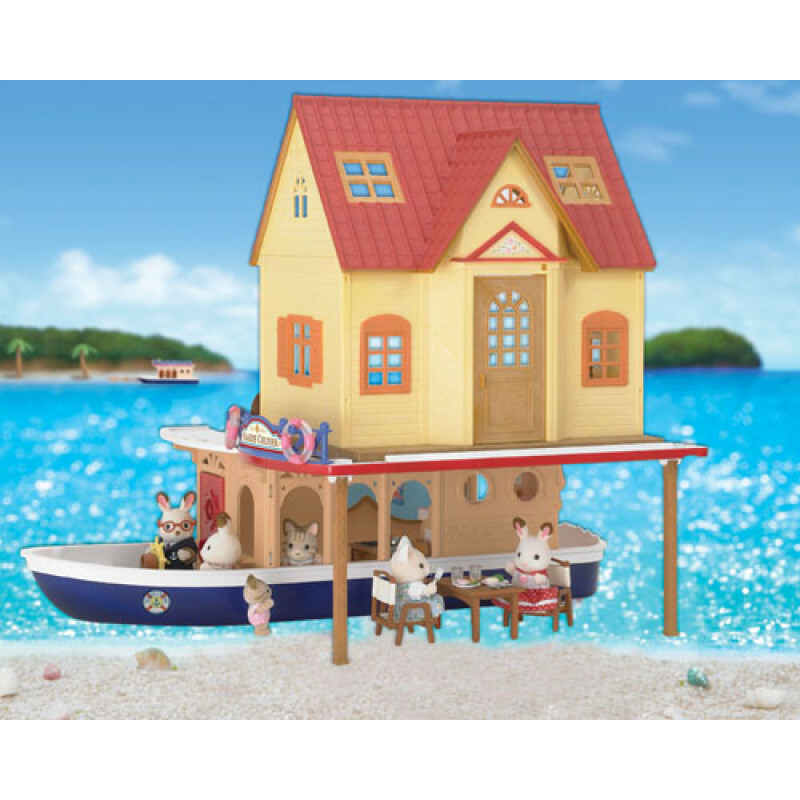 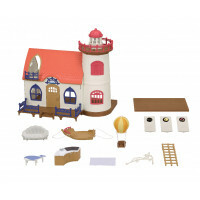 This set includes a mini boat to help your Sylvanians get to shore without getting their paws wet, as well as their very own secluded island to visit! 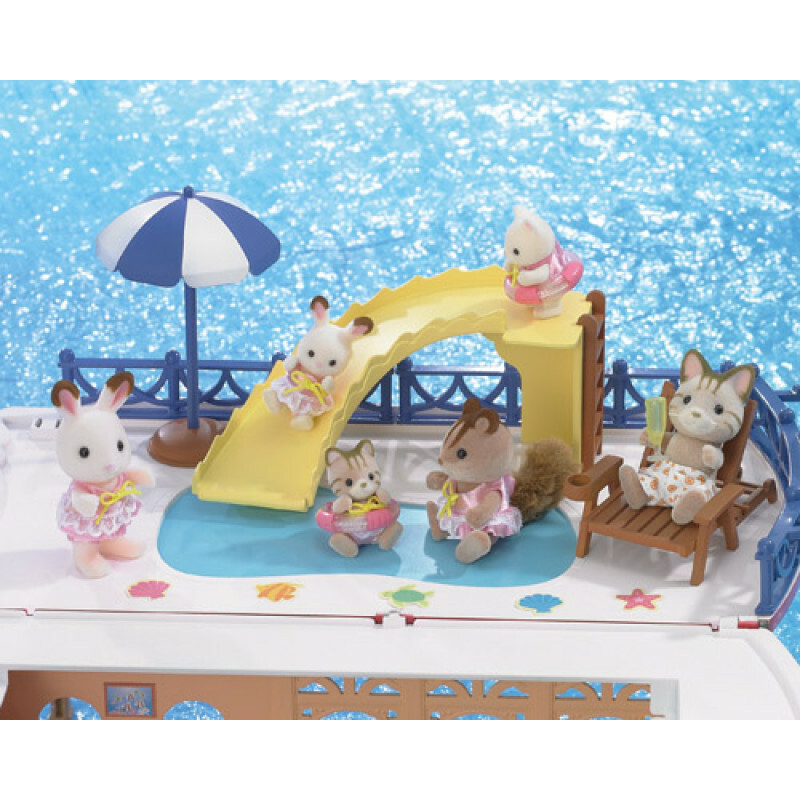 The side of the boat folds down to create more space, and you can slide right into the ocean! 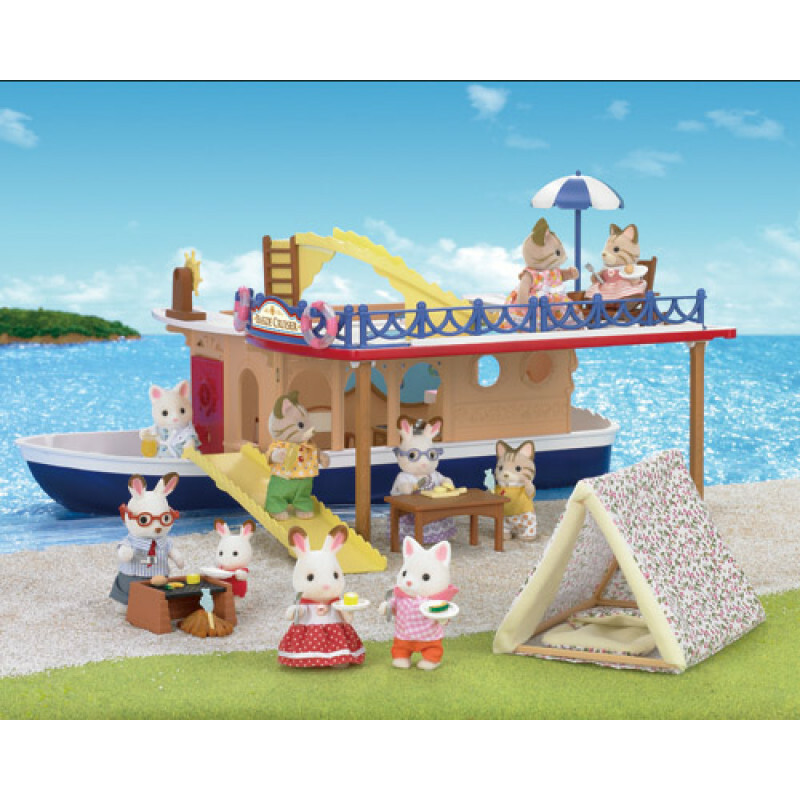 Includes Freya Chocolate Rabbit dressed for ocean adventures! 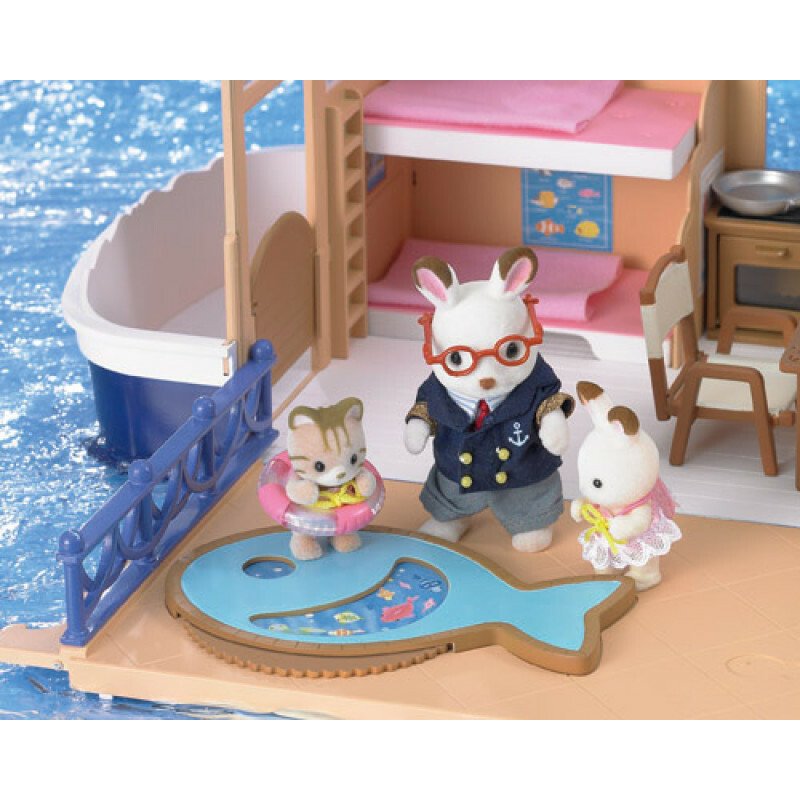 If your Sylvanian has the hiccups and wants to nip..